BRS Services is your local Anchorage clogged drain specialist with quality service backed by years of experience. We will unclog your drain, recommend a maintenance product if necessary and provide tips for keeping your drains flowing freely. We are experts at solving all types of drain and sewer line problems – especially when it comes to kitchen drain cleaning. Kitchen drains clog over time. They run slower and slower as greases, soaps, fats and detergents build up on the inner walls of the pipes and eventually cause blockage. A BRS Services expert who specializes in kitchen plumbing services will cut through the clog and remove all debris. So the next time you experience a clogged kitchen drain, you know who to call. 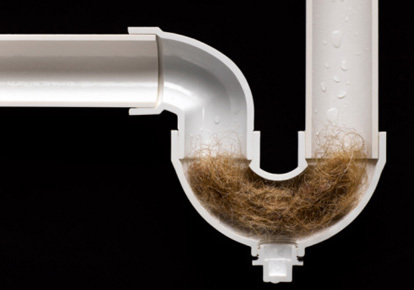 BRS Services is also able to assist you with bathroom drain cleaning. From showers and tubs clogged with hair and soap buildup to sinks filled with toothpaste and other grime, bathrooms present their own challenge when it comes to drain cleaning. In addition, toilet drains are sometimes overwhelmed with toilet paper and other items. BRS Services has all the equipment necessary to solve each challenge.